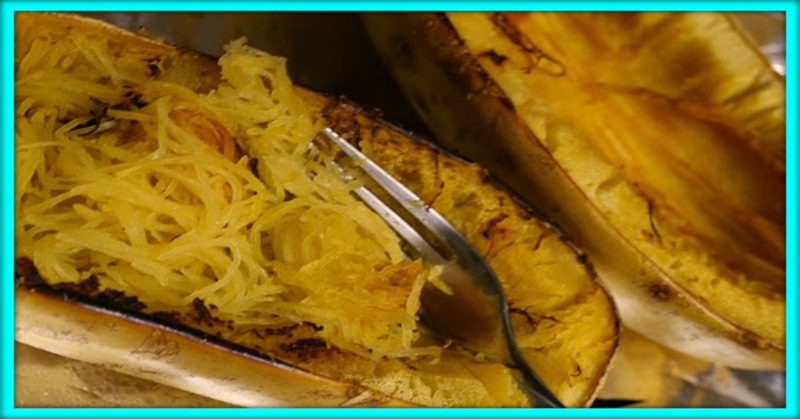 Cut the squash in half lengthwise, scoop out the seeds and fibers with a spoon. Place on a baking sheet, cut side up, spray lightly with the non-fat cooking spray, and sprinkle with salt, pepper, paprika, onion powder, and garlic powder. Bake at 350° about an hour or until the skin gives easily under pressure and the inside is tender. Remove from oven and let it cool 10 minutes. Using a fork, scrape out the squash flesh a little at a time. It will separate into spaghetti-like strands. Place in a serving dish and serve hot. Total servings per recipe will vary depending on squash size.